Beat egg in microwaveable bowl; stir in bacon and peppers. Microwave on HIGH 1 min. to 1 min. 15 sec. or until egg is almost set, stirring after 45 sec. 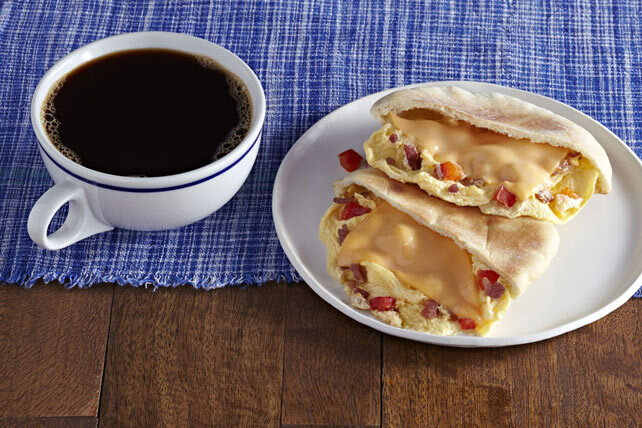 Fill pita halves with Kraft Singles and egg mixture.